The designer is required under AS2047 to establish the wind loads applying to the windows and glazed assemblies. AS4055 - 2006 has been produced to simplify the determination of these loads for housing and is based on a 10 band wind classification system: N1 to N6 for non-cyclonic regions of Australia and C1 to C4 for cyclonic regions. Please refer to AS4055 - 2006 for the limitations in relation to housing. 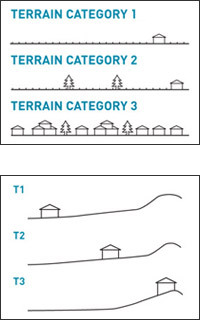 Factors that influence the wind classification are the region in which the building is to be located, the nature of the surrounding terrain and degree to which the building is shielded by other natural and man-made objects and structures. Once these three factors are determined then the wind classification, or N rating, can be established. Determine the extent of shielding available for the surrounding structures. Based on the above outcomes the Ratings Charts can be used to determine the Wind Classification. In addition, there is a Wind Load Calculator that can also be used to determine the N rating here. 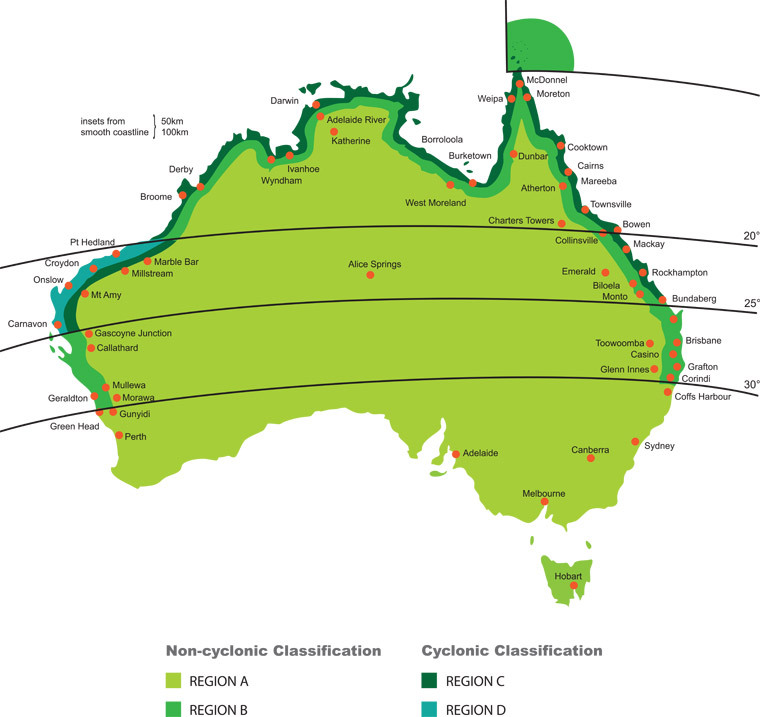 Region A is 90% of Australia; Region B is coastal northern NSW and the Gold Coast; Region C is cyclonic and Region D is severe cyclonic and is only applicable to areas around Karratha. Click here for AS4055 - 2006 Region Rating charts and Static Pressures Quick Conversion table in PDF format.